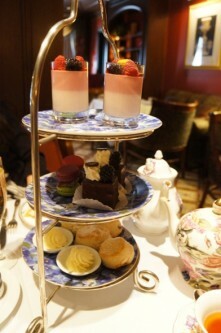 Since opening in 1929, the Fairmont Royal York hotel has been serving traditional afternoon tea. 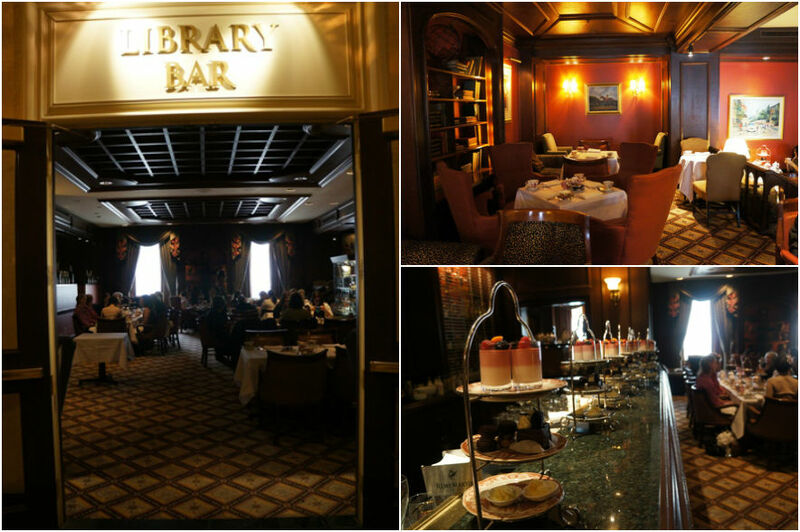 Upon entering the busy hotel lobby, you’ll find the intimate Library Bar tucked away on the west side of the hotel. Immediately, you’ll feel like you’ve been transported back in time. The quiet and dimly-lit space has a wonderful old charm with dark bookcases along the walls (it is called Library Bar, after all) and tea served in fine china. 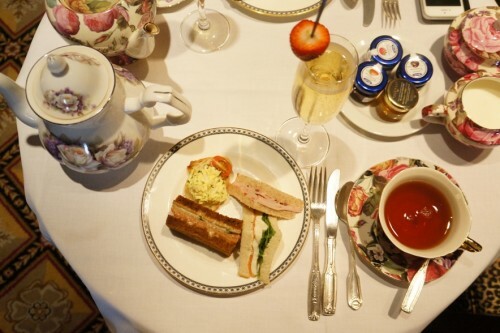 If you drop by in the summer, their afternoon tea includes a visit to the hotel’s rooftop herb garden and bee apiary. 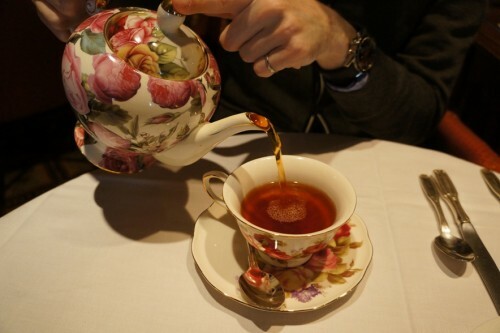 Afternoon tea is served on Saturdays and Sundays with three seatings each day: 12pm, 12:30pm and 2:30pm. Reservations are highly recommended. It’s a popular destination, particularly for bridal/baby showers and mother-daughter dates. 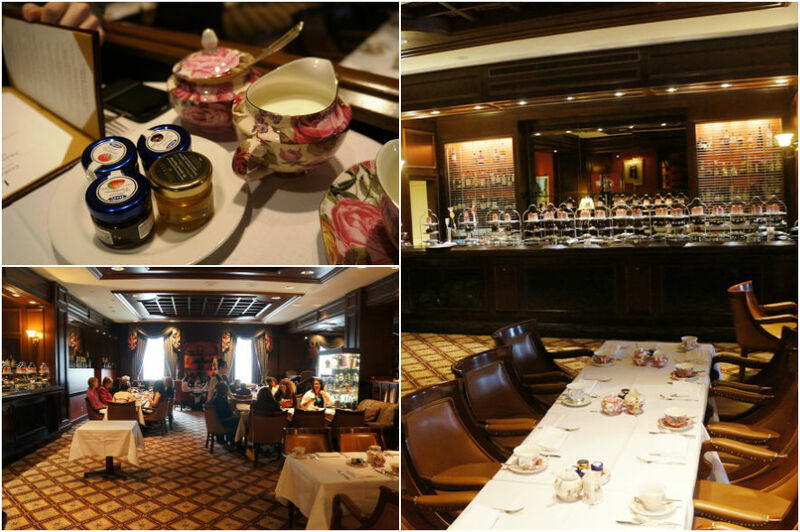 For afternoon tea, there are two options: the Traditional Afternoon Tea for $39.50 which includes a loose leaf tea, finger sandwiches and pastries or the Royal Tea Experience which is an extra $25. It includes everything in the traditional tea option plus smoked salmon canapés and a glass of Moët Chandon Brut Imperial champagne. For those with a smaller appetite, you can also order the individual items a la carte. Our afternoon began with choosing a loose leaf tea from their menu. I love that their tea menu reads like a wine menu – it has tasting descriptions for each option so you know what to expect. 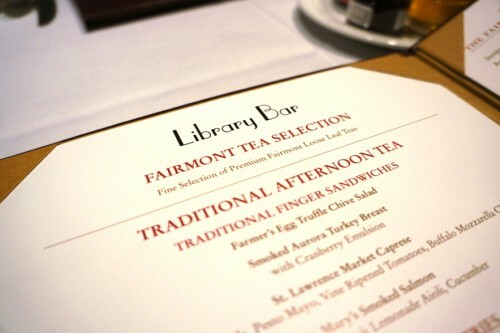 Library Bar offers a nice variety of teas including Kyoto Cherry Rose, Montebello Apple Spice and decaffeinated Kea Lani Orange Pineapple, to name a few. I decided on the 1907 Fairmont Centennial Blend – rich and moody off the nose, it opens with malty astringency and finishes with hints of oak cask and a dusting of delicate citrus while Mike went with the The Empress 1908 Blend – a rich Orange Pekoe with light astringent notes and round body. 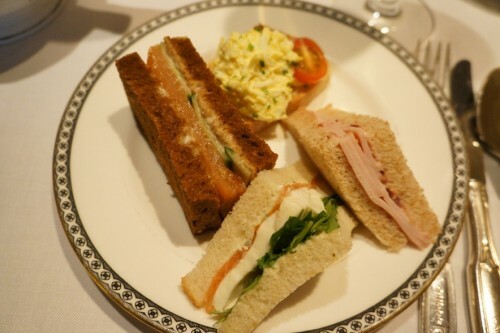 We had a wonderful experience which started out with some delicious finger sandwiches. While the egg salad and turkey breast sandwiches may not sound very exciting, they certainly aren’t your average sandwiches you and I bring to work! My personal favourite was the St. Lawrence Market Caprese. It consisted of some of my favourite ingredients packed into a dainty little sandwich! After we polished off our sandwiches, we were presented with our pastry tower. The bottom layer consisted of traditional scones – you can’t have tea without scones! 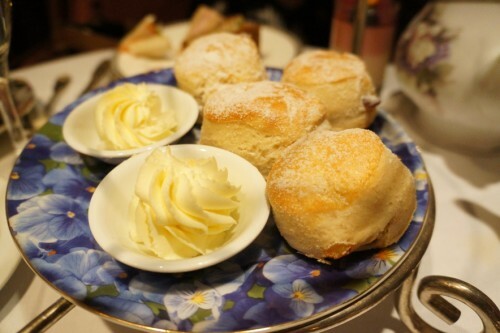 Complete with a selection of preserves to choose from and a side of Devonshire cream. 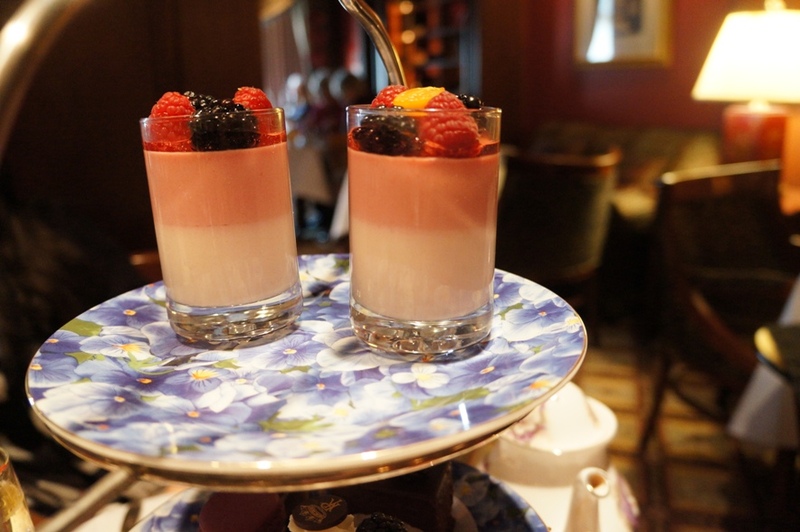 The highlights of the pastry tower included the Chocolate Truffle Flourless Cake and Guava and Raspberry Mousse. When I read chocolate flourless cake, I expected a very dense cake but I loved that this was a lighter version which almost had a mousse-like consistency. The guava and raspberry mousse was also a delight to eat. It was very light and airy with just the right amount of sweetness. Like I said, we had a great afternoon tea experience at the Fairmont Royal York. Serving afternoon tea for over 80 years, they certainly know what they’re doing here. 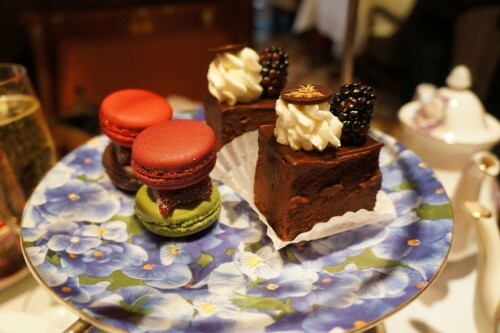 Go ahead, indulge a little and experience it for yourself! So lovely!! I should really try to take my Mum to do this sometime when I come to visit!